Edward has oodles of toys but doesn’t share any of them with his little sister, Claire. She cannot ride his rocking horse, hug his teddy bear, or even think about touching his Slinky. “They’re mine!” he says. That is, until one day when Edward finds himself stuck under his enormous pile of toys and can’t move! 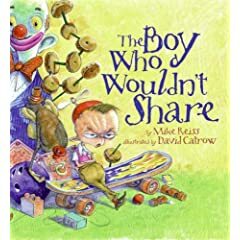 With a little help from an unlikely ally, he learns that if he can share with others, they’ll share right back with him. 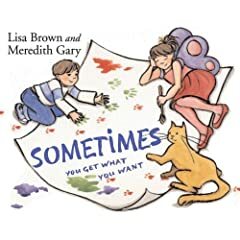 Mike Reiss’s wickedly funny verse and David Catrow’s remarkable gift for comic illustration make this one book you’ll want to share—again and again! Comments: So simply and clearly this book conveys its message. Links: Article from Horn Book Magazine. From the spiky lionfish and the brightly colored clownfish to lanternfishes and hatchetfishes that flash lights so they can find each other in the deepest, darkest parts of the ocean, children will be fascinated by the breadth of sea life depicted. An Afterword offers fascinating facts and an in-depth look at each fish. Do You Say Good Night? There are so many ways to say good night. Pups say it with a stretch and a yawn. Piglets say it with a kiss and a sigh. Lambs say it with a cuddle and a hug. 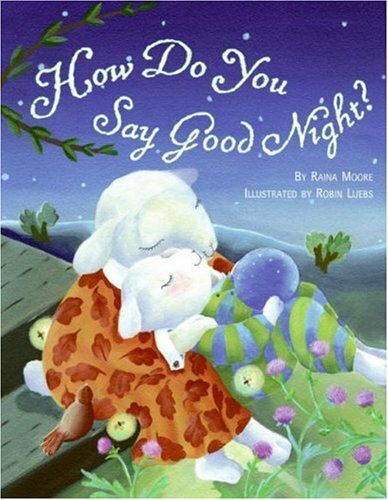 But no matter how many different ways the animals in this snuggly bedtime book say good night, they all have one thing in common: They say it with love. How do you say good night?